For every season there is a reason to visit and stay in the East Central Saskatchewan Tourism Region. In addition to the numerous and excellent Bed and Breakfasts, you can enjoy the multitude of tourism attractions throughout the region. The region has several one and only treasures in Saskatchewan. Relax at the Spa and Danceland in Manitou Beach. Relive history at the Western Development Museum in Yorkton. Marvel at the beauty and history of the Veregin Doukhobour House, St. Mary’s Cathedral in Yorkton and the St. Peter’s Cathedral at Muenster. Admire the wildlife splendour at the oldest bird sanctuary in North America at Last Mountain Lake, the Wadena Wetlands and the Quill Lakes. 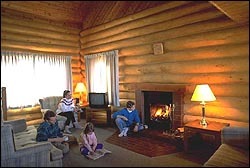 Fish, golf, ski, snowmobile, hike, horseback ride and relax at the many provincial and regional parks and lake resorts. Visit the four cities, Yorkton, Melfort, Melville and Humboldt to enjoy the diverse cultures, heritage and tourism services. Partake in the entertaining and fun cultural, musical, recreational and family events that happen throughout the region. To enjoy the region’s tourism attractions and events there is a Bed and Breakfast operation willing to serve you and showcase the region’s attributes.